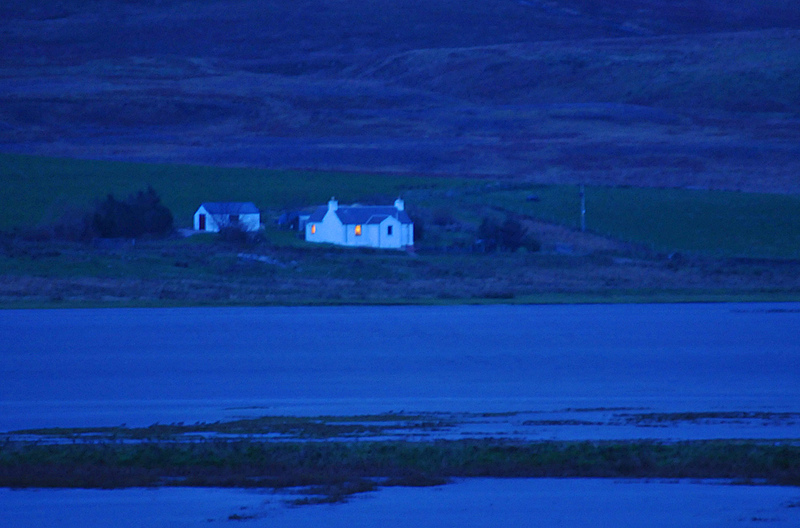 An evening at Loch Gruinart, looking towards a cottage from the RSPB bird hide. The lights have come on in the cottage as the night falls, the light in the windows providing an idea of warmth against the cool blue dark evening light. This entry was posted in Cloudy Weather, Landscape, Night, Repost, Sea Loch and tagged Gruinart, Islay, Loch Gruinart by Armin Grewe. Bookmark the permalink.